The first question we should ask ourselves is how does Barolo differ from Barbaresco. Is it the classic Bordeuax rivalry between Left and Right Bank? Not quite, as there is no varietal difference between these two regions. Both are purely 100% Nebbiolo. A better example would be to compare it to Burgundy where famous regions such as Côtes de Nuits and Côtes de Beaune both produce wines from the same varietal but are stylistically different based on topography. Let's dive in a little deeper into the region known as "the wine of kings, the king of wines" to help you understand how these two wines differ. Both these regions are found in Piedmont in north-western Italy and both are wines made from Nebbiolo grapes. So one would assume that they are fairly similar in style and that they are just two wines from two different regions, but actually there is a lot more to it than that. So what differentiates these two regions? 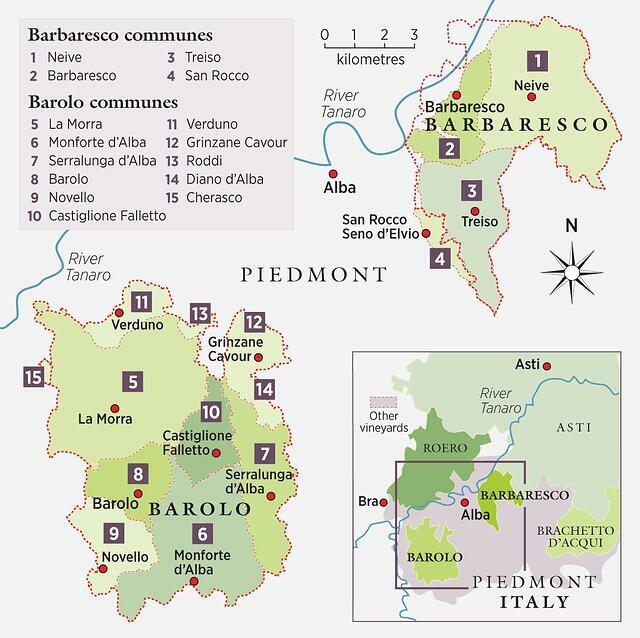 Firstly, to understand a bit of the geography, Barolo and Barbaresco are split by the town of Alba; Barolo lies to the south-west and Barbaresco lies to the north-east. However, there is a lot more to it than just geography. When looking into these regions, there are three major factors that differentiate them: soils, rules and history. The main difference between these two regions is the soil structure. Both have calcareous marl soil, which is basically a lime-rich clay-based soil. The lime-based soil adds a much higher pH, which in turn makes the vine produce grapes with a low pH. What happens when grapes have a low pH? The grapes will have much higher acidity, and this is vital for producing wines of very high quality. Barbaresco soil, however, is much sandier and softer than that found in Barolo, even though the core structural formation of calcareous marl is the same. The soil structure in Barbaresco is also much higher in nutrients, and this assists the vine in producing less tannin. As a result, the wines of Barbaresco are softer and more approachable than those of Barolo. When we talk about rules, what rules are we referring to? Well, it's simple, the rule is that Barolo wines need to be stored for a minimum of three years before the wine can be released and sold to the consumer, compared to Barbaresco, which only needs to be store for two years. The reason for this is that Barolo wines are bigger, bolder and higher in tannin and, therefore, require a longer ageing time in the bottle to reduce the tannin, change up the fruit flavour profile and give the consumer the best wine possible. The Barolo region is slightly older than Barbaresco (by about 40+ years) dating back to the 1850s when the region was named after a noblewoman, Marchesa de Barolo. 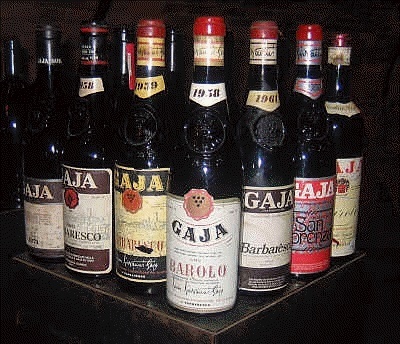 Back then, Barolo was not the same wine that we drink today. It was more port-like, sweet and super fruity. Barbaresco only blossomed in 1894, and was heavily impacted by Phylloxera (as was Barolo) which is a root louse that destroyed vineyards worldwide during the early 19th Century. It was not a great time for the beginnings of a new region. Then, just after that, both regions were affected by the two world wars and the quality of wine at this time was not great, especially in Barbaresco, which hardly had a chance to shine amidst all this turmoil. Good quality Barbaresco only started being produced in 1958 with the establishment of "the Produttori del Barbaresco", a consortium of small producers that put their blood, sweat and tears into making wines that could compete with neighbouring Barolo, and are now amongst the best wines of the world today. So there you have it. 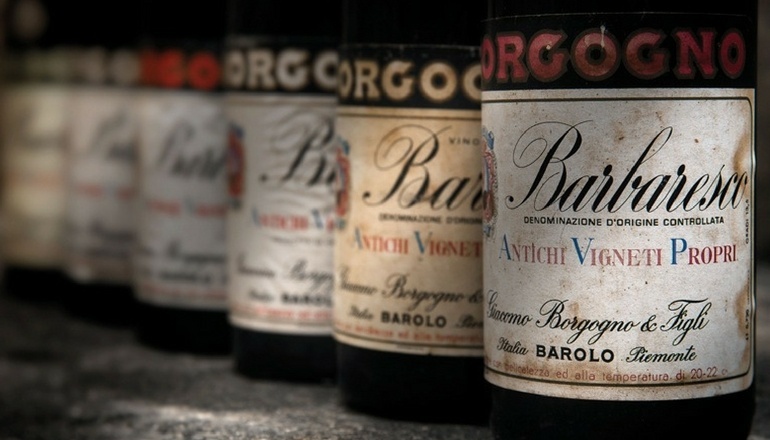 The basic ABCs of Barolo versus Barbaresco. Note that we are not trying to justify which is the better region. Both regions are equally iconic and produce world-class wines. Rather, we want you to understand how and why they differ. I challenge you to get your hands on some Barolo and Barbaresco, taste them side by side and see if you can note the distinct differences (and don't hesitate to invite me along to join you).